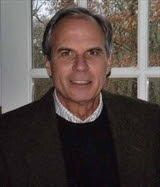 Author Scott Ridley is a political analyst who has written for New Republic, the Nation, Newsday, and the Denver Post. Descended from a long line of New England sailors and shipbuilders, he has studied and collected books and artifacts on maritime life for forty years. His 2010 novel Morning of Fire is a riveting American and Naval history account that brings the era of Washington, Adams, and Jefferson gloriously alive—in a true tale of adventure, danger, and discovery. He lives with his family in East Harwich.